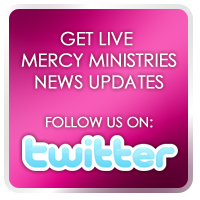 Mercy Ministries News: Mercy Ministries Celebrates Another Life Saved! Baby Abigail was born at 8:00 p.m. on Saturday, July 26, 2008 to one of our Nashville residents, Andrea. Mercy Ministries would like to thank our faithful supporters for saving another precious life. Because of your support, lives are being saved and restored each and every day.